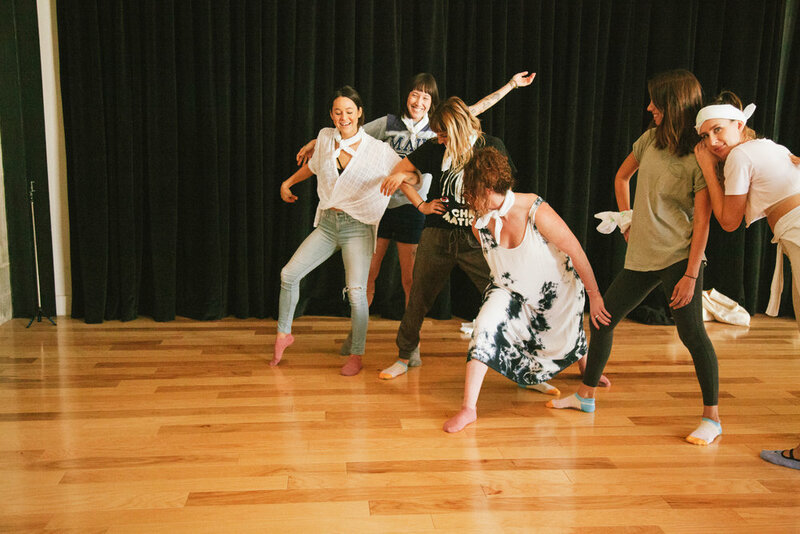 Ever since we first heard about what dancer and choreographer Sarah Rodenhouse was doing with MovedLA, a creative movement class for dancers and non-dancers alike, we were determined to collaborate on an event with her. And last Tuesday, November 14th, we finally made that dream a reality. 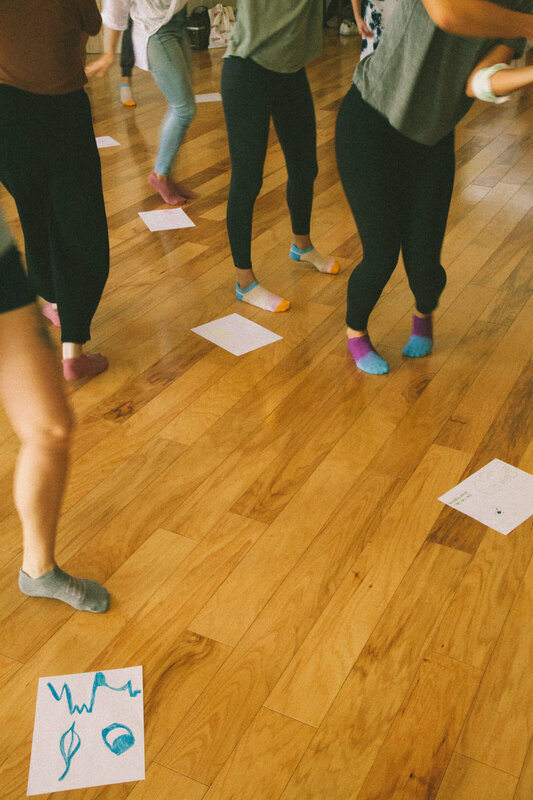 We compiled a wish list of some of our favorite local creatives—from public relations pros to florists—to attend a private class at Sarah's light-filled dance studio in Frog Town (where her contemporary dance company MashUp holds practice). During the hour-long session, the women spelled their names with their bodies, explored the space blindfolded, and otherwise learned to move organically and without the fear of judgement to tunes by everything from Ice Cube to Little Dragon (listen to the guest-curated playlist here and have your own dance party at home—your welcome!). 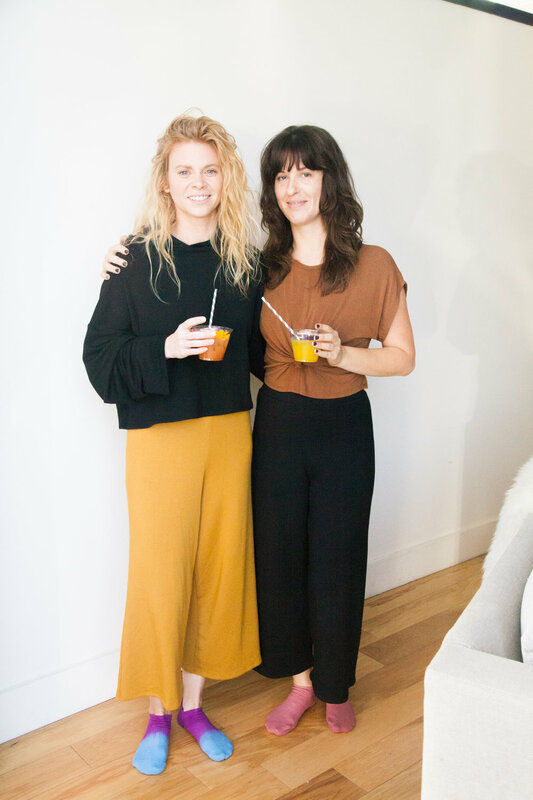 In addition to all that moving, the guests enjoyed healthful treats from GimMe Organic, Detox Water, Uptime Energy (as well as Donut Snob donuts and Green Tea Kit Kats, because balance!) and sampled CBD cocktails by Monk Provisions. 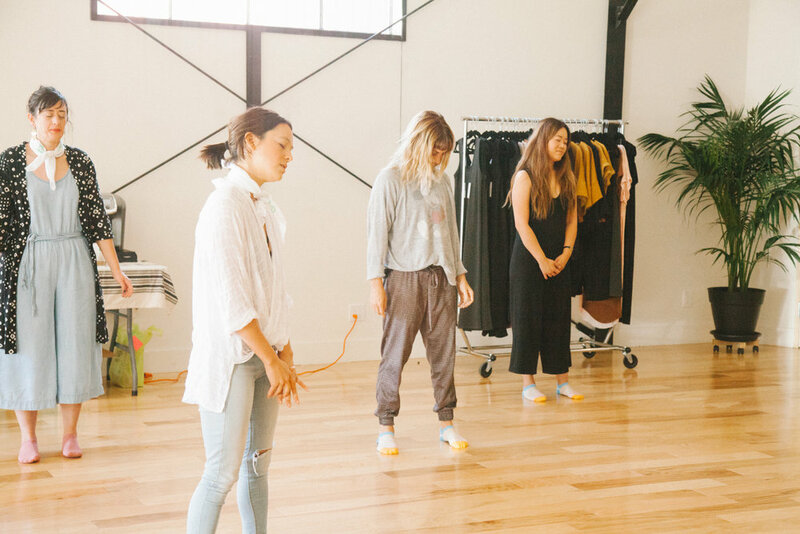 They also got to peruse a clothing pop-up by LA-based brand Corinne and take home custom goodie bags with Monk's THC/CBD drink, Acme Elixirs CBD chews, Pointe Studio grip socks (which they immediately put on for the class/cute photo ops), DNA Renewal skin-boosting greens powder, and more. The whole morning went so well, we're already in talks to host another one in the near future. So if you didn't attend this time around, you can join in on the fun later. You can also host your own private MovedLA event (birthdays, showers, team-building, etc), just contact Sarah@movedla.com.